Exemplifying the firm’s commitment to helping families, Daniel views each pro bono representation as a million-dollar client. Any attorney who lives or works in Jackson County, Missouri, can be appointed to represent indigent clients or juveniles at family court. As the firm’s pro bono attorney in Kansas City, Daniel handles all such cases for the firm. He represents indigent parents in cases on child abuse and neglect, termination of parental rights and adoption. He also represents juveniles in delinquency cases and conducts guardian ad litem work in child abuse and neglect cases. 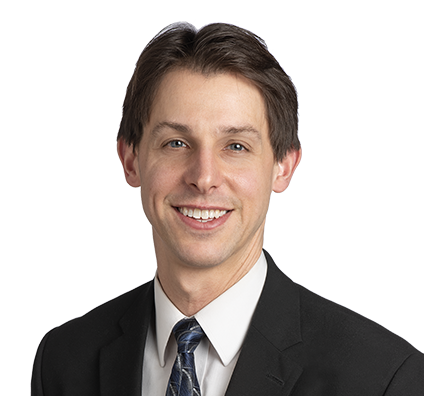 In addition, Daniel assists the firm’s associates with uncontested guardianship cases in the Probate Division in Jackson County. Daniel has argued before the Western District Court of Appeals for an appeal on a termination of parental rights case. Daniel fights for families and parents as they work to reunite and overcome obstacles. He also finds satisfaction in fighting for the rights of children who cannot speak for themselves. Most rewarding and worthwhile for him are the stories of parents who overcome hardships to regain custody of their children. Prior to joining the firm, Daniel prosecuted cases in the Jackson County Family Court Division for the Juvenile Officer of the 16th Judicial Circuit Court. With such extensive experience, Daniel has a comprehensive understanding of the workings of family court. The State of Missouri filed a termination of parental rights case against a mother with a substance addiction who had lost her children, job and housing. Daniel represented the mother, assisting and encouraging her while she completed in-patient treatment, found employment, attained housing through transitional living and stayed sober. After more than a year, Daniel successfully argued before the Family Court Division in the 16th Circuit Court of Jackson County that the mother had done the hard work to stabilize her life and was able to parent her children in a safe, reliable and sober environment. The court dismissed the termination of parental rights case, and the mother regained custody of her children. Daniel enjoys coaching his sons, volunteering at church and working out. Daniel coaches his four sons in flag football, basketball and baseball. He volunteers as a teacher and small group leader at his church and enjoys reading books about religion. In addition, Daniel stays fit by working out at the gym and running outdoors. Daniel helps troubled youths get their lives on track with informal court hearings. Daniel serves on the board of the Kansas City Youth Court, a voluntary program for youths with status offenses and juvenile delinquencies that do not yet require action by a formal court. The program involves a traditional courtroom setting to help participants comprehend the seriousness of their conduct. The informal court – consisting of a board of attorneys (including Daniel), judges, professors and the UMKC School of Law Dean – encourages each youth to choose a more positive lifestyle to avoid a future court appearance before the Kansas City Juvenile Court. Dedicated to the legal representation of families, Daniel gives attorneys a voice to help improve the workings of family court. Daniel serves on the Judicial Engagement Team (JET) for the Jackson County Family Court Division in Kansas City, Missouri, which includes a parent’s attorney, family court judge, family court commissioners, family court administrator, a Court Appointed Special Advocates (CASA) representative, a representative from the Office of the Guardian ad Litem, a representative from the juvenile officer and a representative from the Children’s Division for each party. In JET meetings, participants discuss current workings of the court and plans to improve it. As an offshoot of JET, Daniel leads an attorney work group that gives attorneys practicing at the family court an opportunity to voice their concerns and offer suggestions to optimize the court. Daniel and the group have completed a number of initiatives including production of tutorial videos for appointed attorneys, available on the 16th Circuit Court of Kansas City, Missouri website, that allow attorneys unfamiliar with juvenile law to receive a general introduction to cases involving child neglect and abuse, termination of parental rights and delinquency. In addition, the attorney work group created continuing legal education (CLE) training on pro bono representation for parents at initial protective custody hearings and has ongoing training programs for attorneys at the family court. Multiple subcommittees have spawned off from the attorney work group to focus on specific areas to improve the family court.